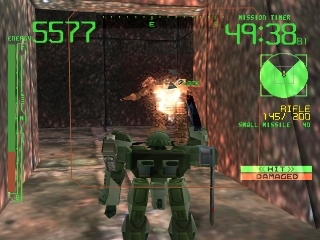 OverviewThe first game in the Armored Core series, Armored Core is a third-person action game based around mecha. 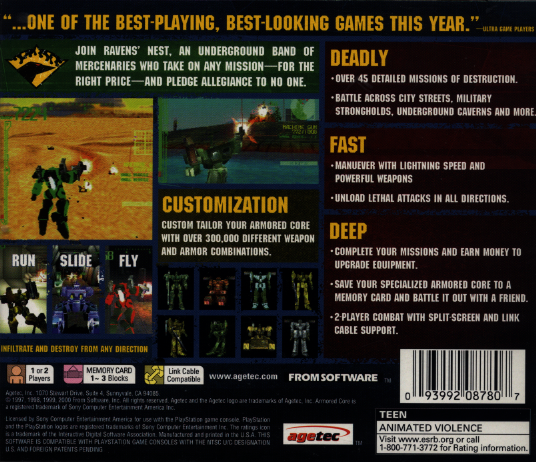 It has a strong focus on mech building and customization. 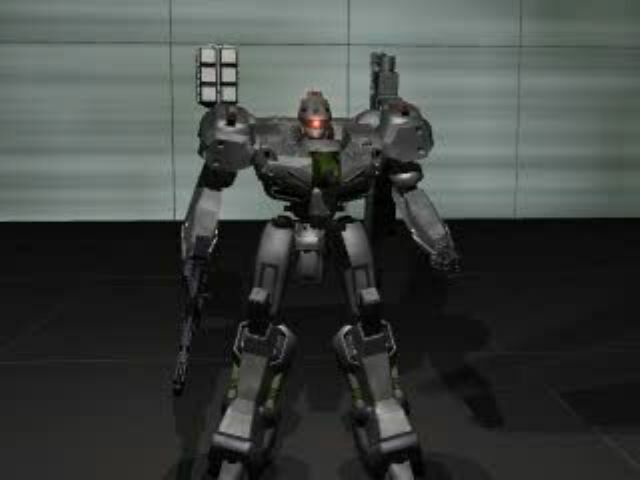 In Armored Core, you become a Raven, a militaristic bounty hunter that uses a machine called an Armored Core. 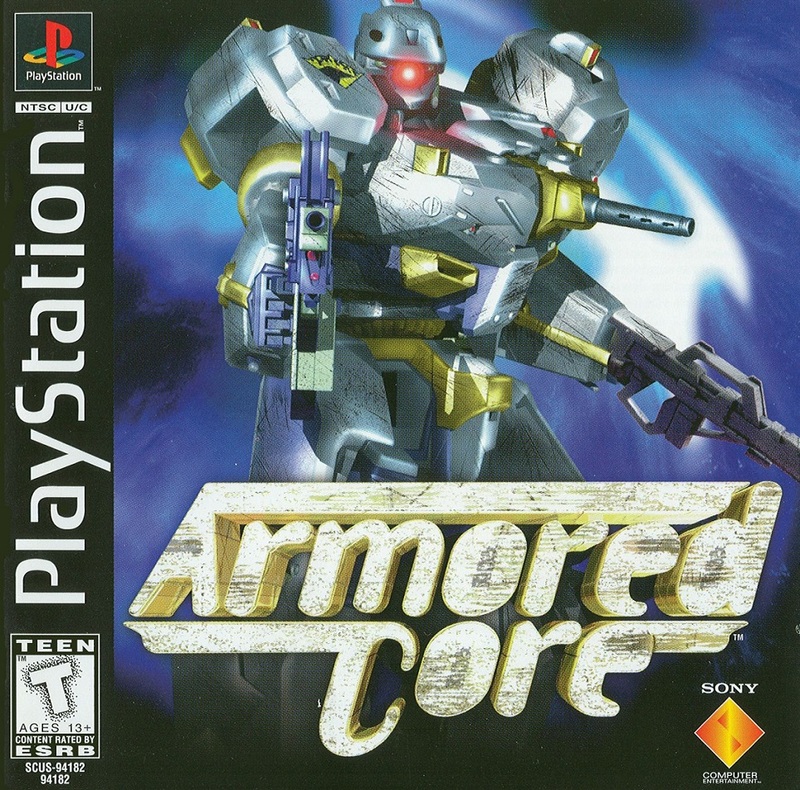 Armored Cores are almost like human-pilored Transformers. 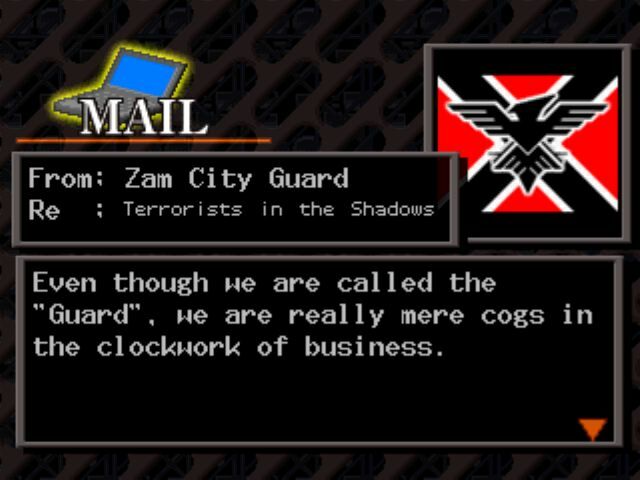 But these are not toys, these are real weapons of war. 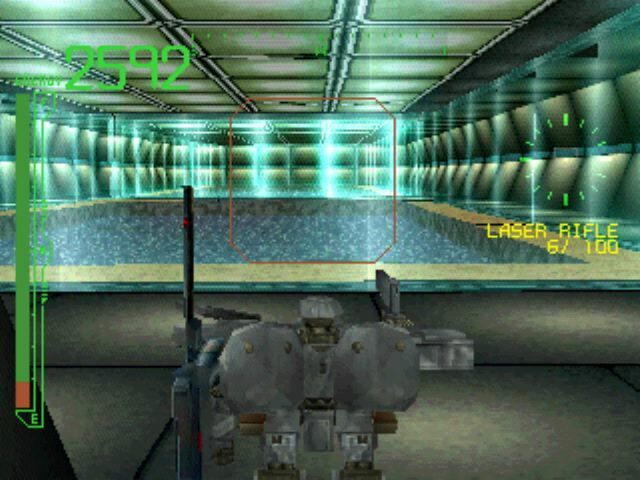 OK, the main cool thing about the game is the Armored Core itself. It's a completely customizable weapon/body combination that allows you to do anything you want, provided you have the money for it. You can use a Gatling gun on an extremely fast set of legs. 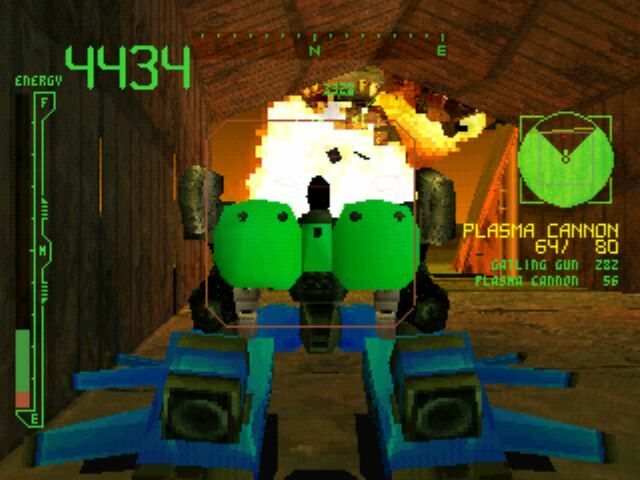 Or, you can use a machine gun with missiles on what is essentially a tank roller. Maybe you want to save some money on the legs by using a backwards model and use integrated bazooka arms. You can make anything happen. 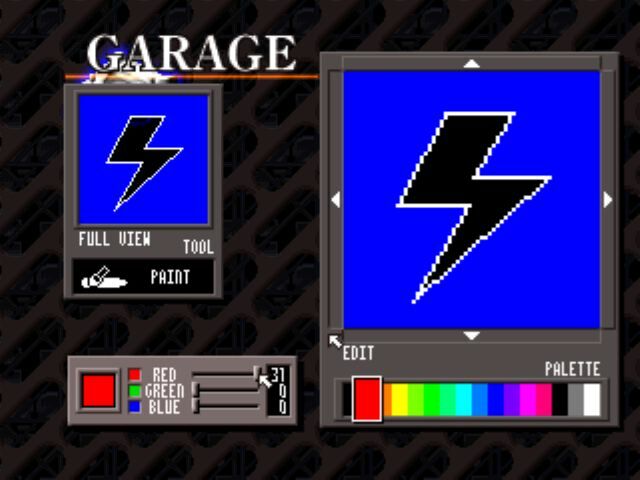 I love this game for its customization ability and creative use of just about everything. And it seems quite out of place to have what is practically an apocolyptic setting. This game is charming in every way! 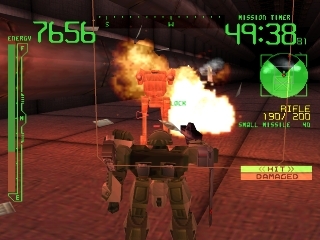 Armored Core is the coolest old-school 3D action game I have ever played. Now you can add videos, screenshots, or other images (cover scans, disc scans, etc.) 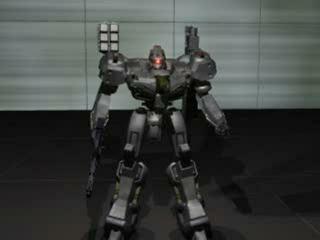 for Armored Core [U] to Emuparadise. Do it now!